The Lil Coffee Cabin franchise opportunity was created specifically for the entry level entrepreneur as well as the experienced business person. The concept is to bring our scaled down 80 square feet, full service log cabin themed coffee shop, right to the customer by placing it inside or nearby heavily trafficked marketplaces like food centers, large retailers, hospitals, universities, office buildings, transit hubs, event centers, shopping malls, and home improvement stores. What makes this possible is that the prefabricated modular Lil Coffee Cabin can be nearly self-contained only needing electrical power to be fully operational. If a wet location is not available at the marketplace, filtered potable water is locally supplied using 5-gallon water bottles. Similarly – waste water, which is minimized by carefully developed production efficiencies, is stored in portable tanks that can be easily emptied. Only 60 amp 3-phase or 100 amp single phase power is required. There is no construction mess or inconvenience to the marketplace at all. The Lil Coffee Cabin can be brought in after hours or when its slow, and it can be ready to serve customers very quickly – often later that same day. This is the magic of the Lil Coffee Cabin concept! Most typical overhead expenses like utilities, security, common area maintenance, trash, etc. are all wrapped up into the rent payment, and even this can sometimes be structured as a revenue share percentage. Many remaining expenses are substantially decreased such as Wi-Fi service, general liability insurance, advertising, and others. There are virtually no customer acquisition costs since your market is captive to the marketplace’s foot traffic. Minimal labor costs because the Lil Coffee Cabin functions fine with only one barista on duty. Waste is minimized because every drink is made to order and the customer can see what they are ordering to avoid the confusion that often results in a hot or iced drink being thrown away when the other is intended to be ordered. Due to the need for specialized systems and equipment there are various efficiencies built into the production. 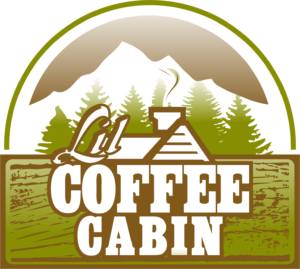 To learn more about the Lil Coffee Cabin opportunity simply fill out the brief pre-application form at the link below and once pre-qualified you’ll receive a unique code number to receive access to review more proprietary information and instructions on proceeding.